Mumbai: Sovereign bonds slid, dragging down the rupee, as some traders were disappointed that the central bank wasn’t more dovish in its policy statement. The yield on the most-traded 2028 bonds jumped 10 basis points as the Reserve Bank of India didn’t shift its policy neutral stance to convey aggressive action after delivering its widely expected second rate cut of the year. Indeed, the six-member rate-setting panel voted 5-1 to retain the stance. “As markets had already priced in a rate cut, the overall tone from the RBI needed to be more dovish for Indian asset prices to continue rallying,” said Khoon Goh, the head of Asia research at Australia & New Zealand Banking Group in Singapore. Bonds had rallied in the run up to the policy day—the yield on the most-traded paper fell by the most in more than a month on Tuesday and the one-year interest rate swap dropped to the lowest in more than two years—as the market expected the central bank to add to the recent measures to boost cash in the banking system. “The market was expecting sequential rate cuts starting Thursday, implying an expectation for a clearer easing bias,” said Maximillian Lin, emerging-markets Asia strategist at NatWest Markets in Singapore. Banking system liquidity has been in deficit since early February, with the shortfall staying above ₹50,000 crore each day this week. The RBI earlier this week said it would repeat a $5 billion forex swap in April after the success of the first round in March. Governor Shaktikanta Das said the central bank will continue to add cash to ease financial conditions after economic expansion in the quarter to December hit a six-quarter low. The authority on Thursday allowed banks to use a further 2% of their mandatory bond holdings toward meeting their liquidity coverage ratio, in an effort to make more funds available for lending. The RBI, which targets inflation at 4% in the medium term, cut forecast for consumer price growth and said underlying pressures could ease given the recent slowdown. It also downgraded gross domestic product growth forecast for the financial year that began 1 April to 7.2% from 7.4% seen in February. “Absent a significant hit to growth from here on, I think the RBI’s easing cycle is at its end and the next move in rates will be higher,” said Prakash Sakpal, an Asia economist at ING Groep in Singapore. The lower inflation forecast for the first half of the fiscal year “is a bit optimistic” given that the period of easing price pressures is behind, he said. Sakpal said he expects a 25-basis point hike early next year when inflation crosses the 5% mark. 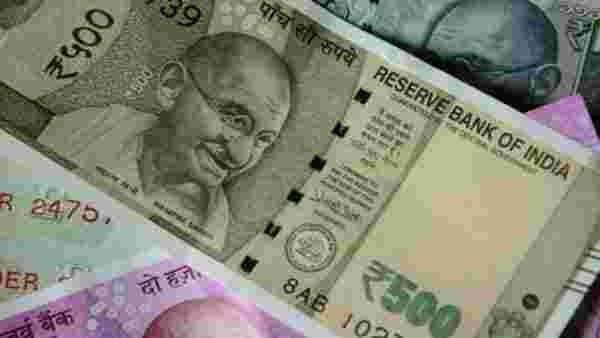 The rupee fell more than 1%, the most since 3 December, to close at 69.1575 per dollar in Mumbai, ending three days of gains. The selloff in the currency “seems to have been exacerbated by the negative reaction in other Indian assets,” said Dushyant Padmanabhan, a currency strategist at Nomura Holdings Inc. in Singapore. Markets nursed losses for the second straight session Thursday after the RBI slashed the interest rate but lowered the GDP growth forecast for 2019-20. Lacklustre services data, depreciating rupee and weak overseas cues also weighed on trading sentiment, brokers said. After a volatile session, the BSE Sensex settled 192.40 points, or 0.49%, lower at 38,684.72. The broader NSE Nifty dropped 45.95 points, or 0.39%, to end at 11,598. Rate-sensitive stocks ended on a mixed note, with the BSE auto and realty indices rising up to 0.61%, while the BSE bankex lost 0.67%. TCS was the biggest loser in the Sensex pack, sliding 3.17%, followed by HCL Technologies Ltd, Yes Bank Ltd, IndusInd Bank Ltd, Reliance Industries Ltd, Kotak Mahindra Bank Ltd, ICICI Bank Ltd, Tata Steel Ltd, Larsen and Toubro Ltd and Infosys Ltd, down up to 2.34%. Next Explained | What’s the controversy around electoral bonds?